2001 held at Auburn, Alabama. This was the last Major National that the 3rd place Lakerettes of Pennsylvania played in. They finished 3rd with a 1-2 record. Starting in 2002, they played in the Women’s 35 & Over Division only and they won the 35+ Nationals from 2002 through 2004. They also won the 35+ from 1999 through 2001, playing both Major and 35+ Nationals. 2001 held at Tupelo, Mississippi on August 24-26. FACTOR 1 (A): Points awarded on the basis of a team’s order of finish during Regular Season and in each of the four AA post season championship events. FACTOR 1 (B): Points awarded on the basis of a team’s order of finish in each of the four Super/Major post season championship events. NOTE: Should a tournament be called without completing all games (due to weather, etc.) resulting in ties for order of finish, points will be allotted by adding the total points accrued by all teams tied for any position and divided by the number of teams. NOTE: In calculating Super teams’ scores we will use a factor one level lower than all other teams as they do not compete against themselves. For example, if all three super teams were participating in an event, each super team would receive a multiplication factor of 1.1250 in determining their power rating, while all other participating teams would use a multiplication factor of 1.2500 to determine theirs. FACTOR 4: Teams designated as “super” teams for 2001 season. 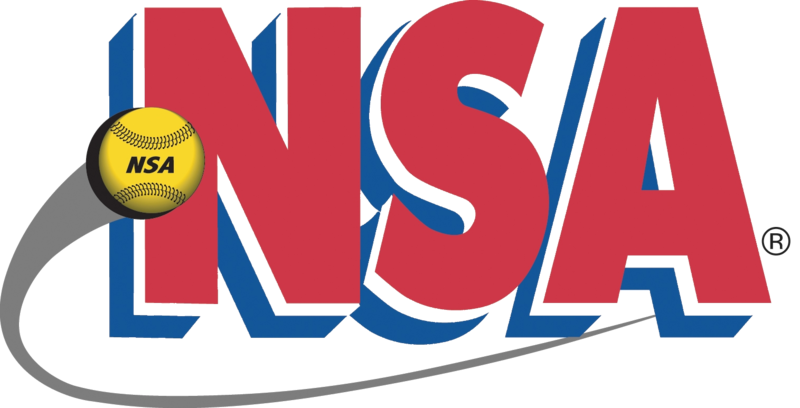 FACTOR 5: Each of the four Major (ASA Super and ISA/NSA/USSSA World Series) post season championship events will be given three times the “weight” as eligible regular season events. The participation of any team (that disbands or changes their name) in any eligible event will continue to be counted as a participating team (and “super” team if they were so listed) for the purposes of Power Ratings generated from such events. Continuation of Power Ratings generated by a team (that disbands or re-registers under a different name) for that team in any eligible event will be evaluated by the number of rostered players “held-over” for the new team. If such team should “hold-over” ten or more players from the roster previously used all Power Ratings shall continue to be used to calculate that team’s seasonal Power Ratings. If such a team carries over less than ten players, their eligibility to be listed in the Power Ratings shall be determined solely by their performance as a “new” team. 2001 held at Oklahoma City, Oklahoma. This season featured splitting the country into two halves (east and west) with the champions of each tournament going to Oklahoma City for the Hooters Softball Championship Series. In 2001 T’s 13/Nike would defeat Creative Stucco/Easton 3 games to 2. In the first ever USA Softball National Championship Series, T’s 13 (Omaha, NE) opened up a huge lead after posting big numbers in the second and third innings, scoring 11 and 12 runs, respectively going on to win a decisive game 5 over Creative Stucho/Easton (Columbus, OH). Nick Sailors hit a two-run home run, double, RBI-single and two-run single, while tournament MVP Mike Irvine hit a two-run homer and added a pair of sacrifice flys. Scott Gerdes hit a solo home run, a two-run triple and an RBI-double, Nate Babbit had a three-run HR and two RBI-singles and Brian Holmes hit a two-run blast and a double. Jeff Vercellino and Dana Wendelin each had a home run, Wendelin’s was inside-the-park. Steve Skala drove in two runs with a single and Bobby Worden and Rick Kappius each had an RBI-double. Tony Sharkins hit a three-run home run, a solo home run and a two-run double for Creative Stucco/Easton. Doug Shanyfelt had a three-run shot, Troy Rawlins a two-run and Jeff Click a solo. Tim Linson drove in a run with a double, while Rob Luneborg and Tom Ellis each had a double. 2001 ASA A East Men’s Slow Pitch Nationals – held at Dothan, Alabama on August 31 – September 3. 2001 ASA A West Men’s Slow Pitch Nationals – held at McAllen, Texas on August 31-September 2.